A hiccup with its request for CMHC funding won’t stop the developers of a proposed apartment complex on Clement Avenue from building affordable housing. 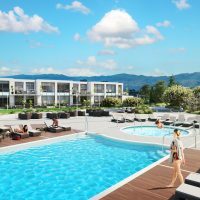 Anagram properties has asked the City of Kelowna for permission to build a six-storey, 58-unit apartment building, with the intention of offering it as affordable rental housing. An application to the city outlining the project said the Canadian Mortgage and Housing Corporation had green-lit the complex for funding under its Rental Construction Financing initiative. The CMHC initiative gives out low-cost loans that encourage developers to build affordable rental housing, allowing them to offer rental units 10 per cent cheaper than their market value for a decade. 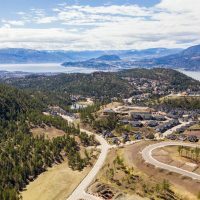 However, according to the CMHC’s Robyn Adamache, Anagram’s project had only passed an initial screening, and ran into issues during the underwriting phase of the loan process. Technically, those issues kept the project from qualifying for the financing, although Adamache says the CMHC is working with Anagram to try and resolve them. In the meantime, Anagram’s Reg Hamilton says the company plans to move ahead with the project no matter what. “Regardless of CMHC’s involvement, our project will be moving ahead as planned. Our goal is to have affordable rental housing,” he said. Hamilton said Anagram has a good relationship with the city, that the project has letters of support from city planners, and that Anagram has applied for other affordable housing grants. “It’s hard to finance these projects, because they’re large and they’re very time consuming and a lot of cash and money and energy goes into them,” Hamilton says. Because the project is so expensive, Hamilton says it might change slightly if Anagram doesn’t get the CMHC financing. The CMHC makes developers commit to offering units 10 per cent cheaper than market value, and Hamilton says without the organization’s financing Anagram might not be able to hit that price point. There is also the possibility that some of the units will be sold as condos instead of rentals, in order to recover some of the cost of building. If that happens, Hamilton says they wouldn’t be luxury condos similar to ones in other, nearby developments. The “attainable” condos will feature “sustainable” infrastructure like solar panels, an electric vehicle car share pool, and be more energy efficient, Hamilton says.